You have probably had your garage door opener for years. Maybe it is time for a new one. 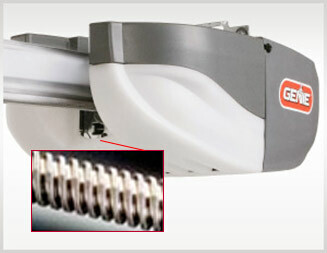 Maybe you just keep hearing all this hype about the new screw drive garage door openers. So, which is better? Which one will work the best for you? All questions we are about to answer. This includes the most important answer of all; Which is safer? You want the best for your family and home. Anyone who doesn’t, just isn’t thinking about it enough. While we are a garage door company, we aren’t trying to sell you one or the other. We want all of our customers to pick what they want. Well, the first one is the more obvious. A chain garage door opener has a chain on it. Chains can break after a while. The screw drive openers are almost bulletproof. They could last forever and a day. Whether your garage door opener motor lasts that long or not is a different story. The other major advantage is that screw drive openers do not ever have to adjust. Chain openers tend to slack after a while from the rollers wearing down. This can eventually cause damage to your garage door in general. This is likely going to happen overtime, anyways. The fact is that both work about the same. If your chain drive opener needs adjusted, it only takes about ten minutes and it is a cheap job. The real difference is that a screw drive opener is very smooth and quiet when it is running. The real deciding factor will be the price. If you are looking at the two units from the same company for the same price, then you’ll want to go with the screw drive. 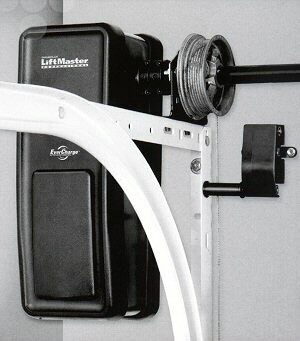 However, if you’re looking at an amazing deal on the chain drive garage door opener, then go with it. The extra noise isn’t that bad and saving money is always a nice touch, no? If you are worried about your old chain drive stretching over time, don’t. Those chains do not actually stretch. If you start seeing the chain deteriorating, that is a completely different story. That should be replaced as soon as possible. In the end, the choice is your’s. If you want a quieter, smoother working garage door opener, pick the screw drive opener. If you are not worried about that and have a good deal on the older openers, go with one of them. Call In The Pros To Put Either In! The one thing you should always do when having a new garage door opener put in, is call a professional to do it. Doing it yourself could result in property damage, serious injury, or even death. A simple mistake can cause any one of those. 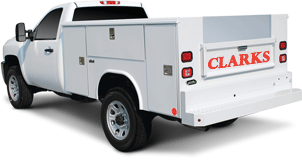 So call Clarks Garage Door & Gate Repair at (877) 622-8183. We have the best of both types of garage door openers and amazing prices for both and our services. Start The New 2018 Year With Your Garage Door In Great Shape!